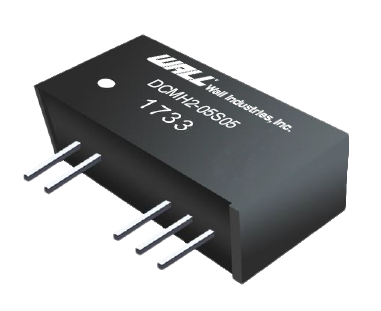 New DCMH2 series of medical DC/DC converters from Wall Industries offers 2 watts of power and high isolation. The new DCMH2 series of medical DC/DC converters offers up to 2 watts of output power in a compact, through hole package. This series features single and dual output models with high isolation as well as reinforced insulation. DCMH2 also has high efficiency, unregulated outputs, and internal SMD construction. This series is RoHS compliant, rated for medical applications, and refers to EN60601-1, ANSI/AAMI ES60601-1. For complete series information, visit the DCMH2 series page. See more of Wall’s medical power sources here.